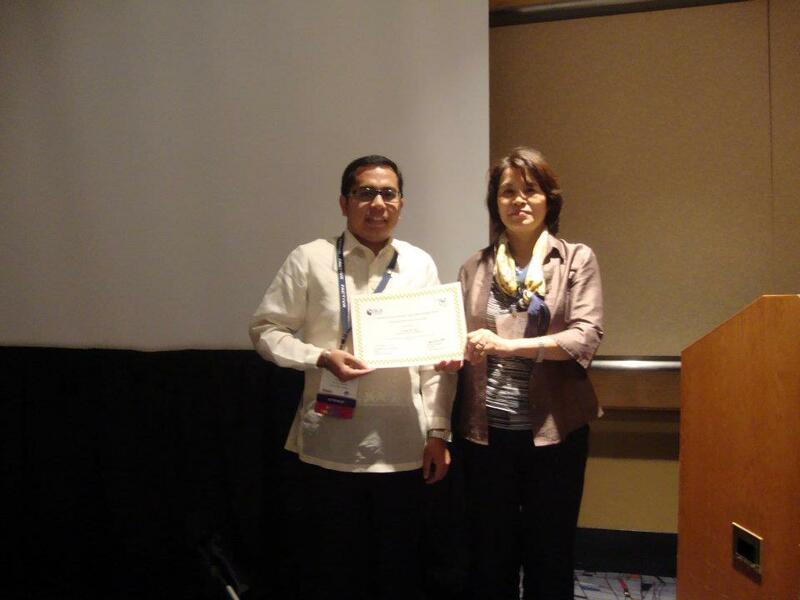 Joseph Yap, DLSU Librarian assigned at the Graduate School of Business, Makati Extension Campus (MEC), published his latest article titled, “Technical Competencies of Medical and Health Librarians in a Library 2.0 Environment” at the Information World Journal (Vol. 13, No. 2, 2012). The 22-page article was based on his Master's thesis at the University of the Philippines in Diliman. The same research was also presented during the 4th Rizal Library International Conference in 2010, Quezon City, Philippines. The research determined the acquired knowledge, perceptions and attitudes of medical and health librarians in the Philippines on the impact of Library 2.0. The study verified the level of awareness and revealed the gaps among medical and health librarians in the use, creation and adaptation of Library 2.0 tools especially in informing, educating and empowering their users. Information World Journal is a refereed open-access journal published by the University and Research Librarians Association (UNAK)-Turkey. It is indexed and abstracted in the Library and Information Science Abstracts (LISA); Library, Information Science & Technology Abstracts (EBSCOHost-LISTA); IndexCopernicus and Turkish Academic Network and Information Center's (ULAKBIM) Social Sciences Database and is listed in the Directory of Open Access Journals (DOAJ) and E-Prints in Library and Information Science (E-LIS). It is likewise a candidate for Thomson Reuters Web of Knowledge (formerly ISI Web of Knowledge) and SCOPUS. 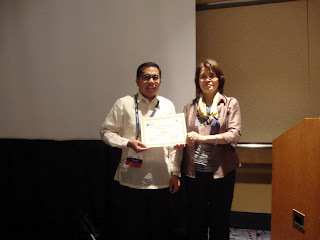 On March 22, 2012, I eagerly applied for the 2012 Special Libraries Association (SLA) Asian Early Career Award. Upon knowing of such a travel grant, I grabbed that opportunity to become an SLA member and submitted my essay to the Awards Committee. After more than a month, Ms. Kyoko Sato, chair of the Awards Committee, sent me an email confirming my selection as the winner of 2012 SLA Asian Early Career Award!